To reset Arduino, the Arduino Microcontroller boards have an external pin and a button to reset it and start program execution from the beginning. But sometimes it is important to reset it programmatically. To Reset Arduino using programming, there is a very simple command. 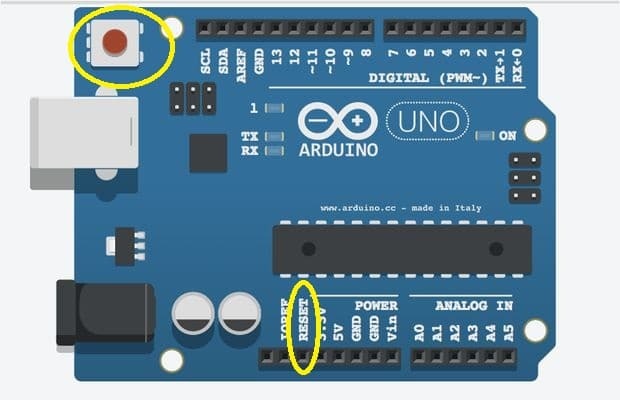 To reset Arduino using hardware, we have two methods, either resetting using an external pin or resetting it using the button. Either manually press the Reset button, or bring the RESET pin to LOW to reset the Arduino. Use the following command to reset the Arduino and the code execution will start from very beginning.